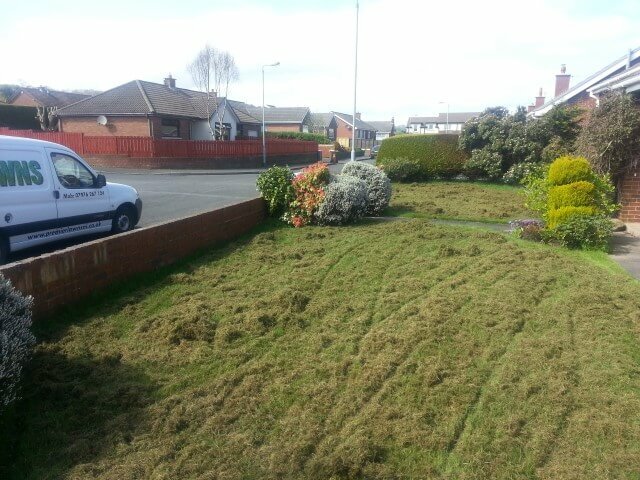 Scarification is the process that helps removes thatch and moss. 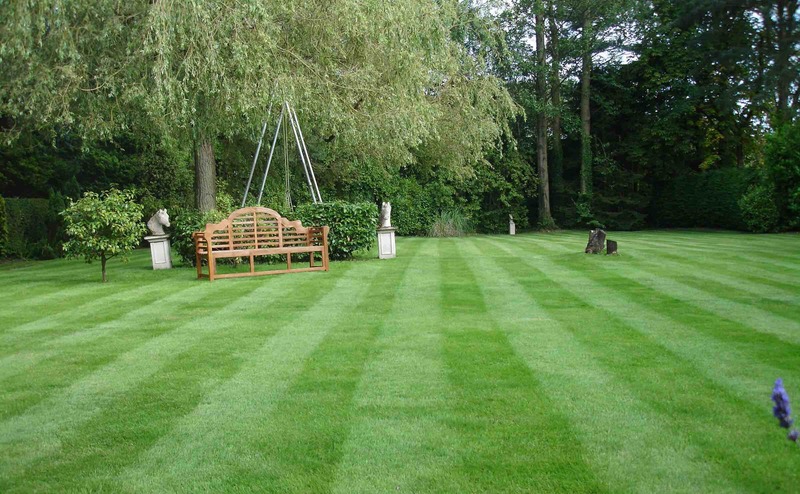 Moss and thatch make your lawns soft and spongy. 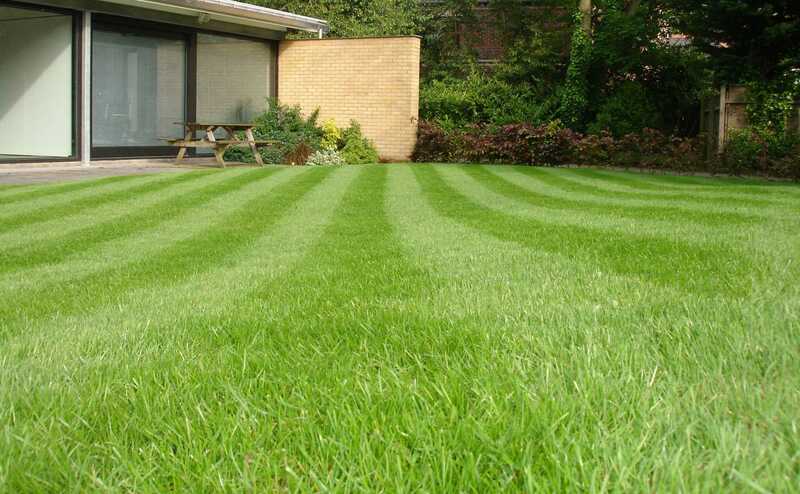 Scarifying will promote a thick, lush green lawn that is easier to mow. 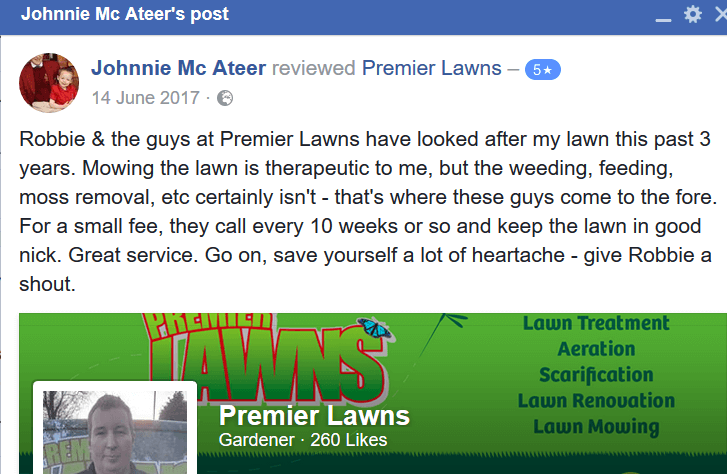 The main purpose of scarification is to remove an organic material that occurs naturally just below the turf grass leaves, but above the soil layer. 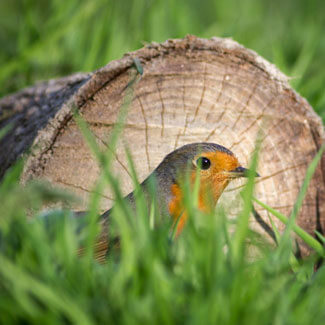 Scarification removes thatch and moss, allows the soil to exchange gases and helps promote a thick, lush grass surface. Thatch is an organic layer consisting of dead, dying and living stems, roots and leaves, in fact, all parts of the grass plant. A thick thatch layer will have a number of detrimental effects on any lawn. 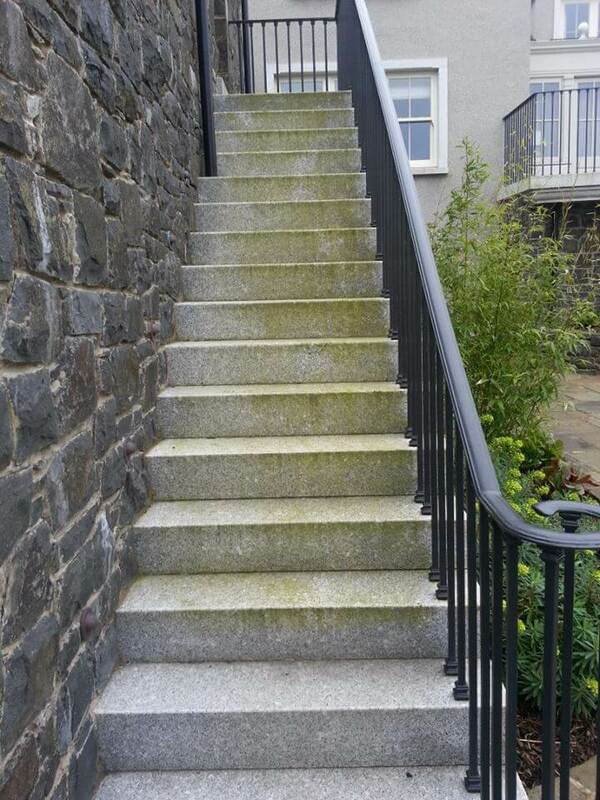 The surface will feel spongy and can stay wet for longer. 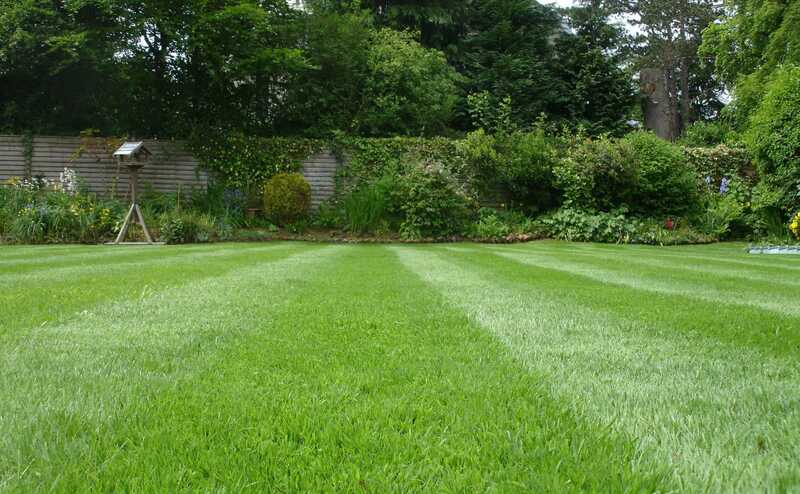 It prevents the infiltration of water and therefore affects the drainage properties of the lawn. Thatch also acts as a harbour for pests and diseases to develop and feed in. It promotes the ideal conditions for weed invasion, mosses and undesirable grass species. Thatch can also trap within it any nutrients applied to a lawn resulting in a very shallow root system. Shallow rooted grasses offers poor drought resistance, colour and density and the plants ability to recover from wear will be drastically reduced. moss and thatch on the surface of the lawn ready to be raked up. 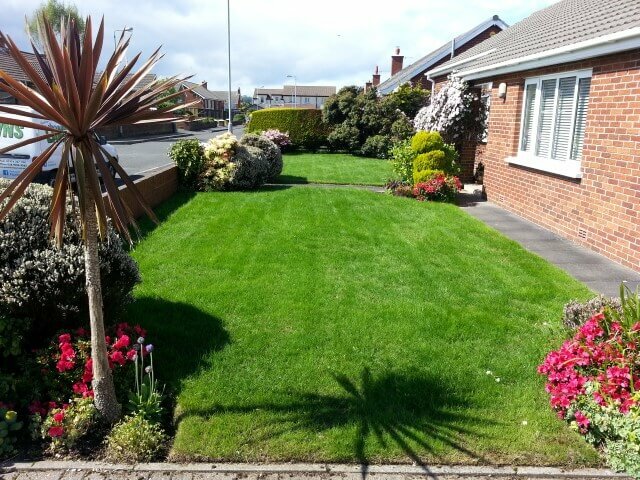 4 Weeks after treatment, the lawn has completely recovered and is lush and green.